Farmer, MP (1936-1940), MP (1940-1945), MP (1945-1949), MP (1949-1953). Born at Morden on 4 March 1891, son of Valentine Winkler and Josephine Rombough, he attended Wesley College (1912) and the Manitoba Agricultural College (1916) then became a farmer near Morden. During the First World War, he served overseas with the 11th Canadian Field Ambulance Unit, returning from France in the winter of 1917 and moving to the southern United States for health purposes. He returned to Morden and farming in 1919. He stood in for his recently-deceased father in the 1920 provincial general election but was narrowly defeated. 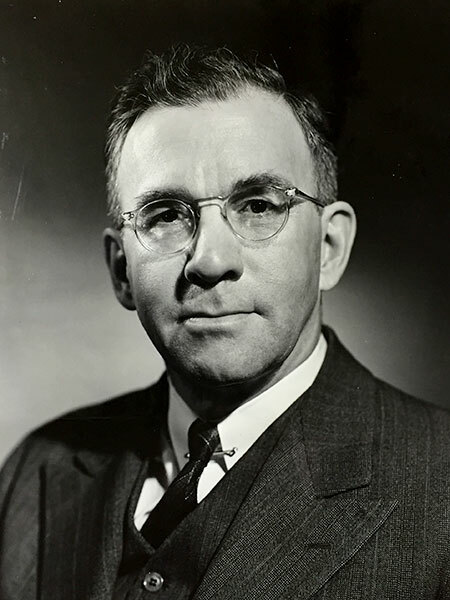 He was elected to the House of Commons for Lisgar in 1935, re-elected in 1940, 1945, 1949 but did not stand for re-election in 1953. The following year, he married Ruth Susan Lorraine Doern (1909-2005). They had no children. He died at Mesa, Arizona on 14 November 1970. A collection of his family photographs, correspondence, and papers is held by the Archives of Manitoba. MHS Transactions Series 3, Number 10, 1953-1954 Season. “Ex-Lisgar MP, H. W. Winkler dies,” Winnipeg Free Press, 16 November 1970, page 13. Obituary [Ruth Susan Lorraine Doern], Winnipeg Free Press, 22 January 2005. We thank Rachel Mills for providing additional information used here.